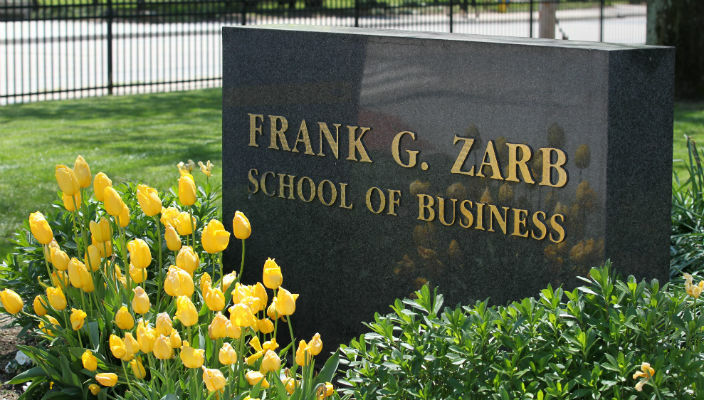 The Beta Gamma Sigma chapter at the Frank G. Zarb School of Business has earned high honors from the international organization for the 2014-15 year – a distinction awarded to just 10 percent of more than 500 chapters across the globe. Beta Gamma Sigma, the international honor society serving business programs accredited by AACSB International (the Association to Advance Collegiate Schools of Business) award High Honors to chapters with successful recruitment efforts and a track record of engaging programs and activities, including charitable campaigns. Membership in Beta Gamma Sigma is the highest academic recognition a student can achieve at an AACSB-accredited business program. To be considered, seniors must be ranked in the top 10 percent of their class and juniors must be in the top seven percent. This is not the first time the Hofstra chapter has been recognized by the international organization. In January 2014, Beta Gamma Sigma was awarded a student scholarship for its holiday food drive benefiting two local charities.